Situated in the heart of picturesque Buckden, Clifford House Farm is a 17th century detached, stone-built farmhouse, one of four properties grouped around a courtyard with views up toward Buckden Pike. 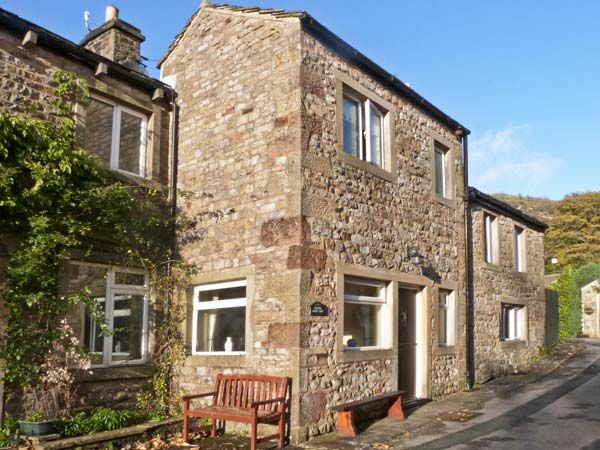 Clifford House Farm, Buckden, Wharfdale, North Yorkshire, The Yorkshire Dales (Sleeps 1 - 12). 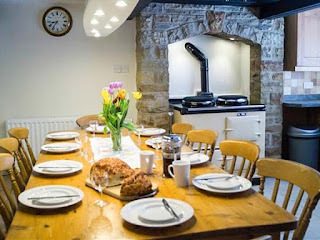 Spacious and comfortably furnished throughout, the house has two sitting rooms - ideal for large groups of friends or two families holidaying together. One has an open fire and the other a multi-fuel stove, which, combined with the oil fired central heating and AGA in the quality farmhouse-style oak kitchen, ensure that the property is warm and cosy all year round. Monsoon showers will sooth sore walking muscles, with one housed in an en-suite for added privacy and convenience. The large patio is the perfect place to relax and enjoy a beer or glass of wine after a hard day's walking. 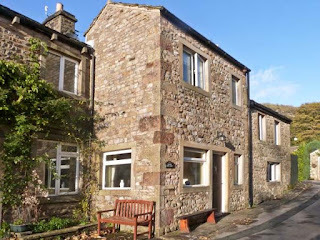 An excellent base for enjoying the Dales with walking from the doorstep and many Dales attractions - historic market towns, caves and waterfalls - within easy touring distance.